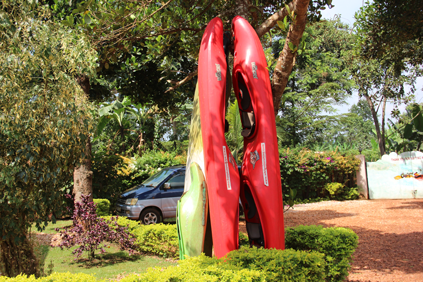 Sit In front of a double-seater kayak and take on the Big Nile rapids with our guide. 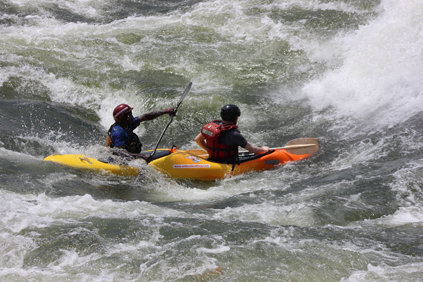 Hit the big Grade 5 rapids of the Nil in a Tandem Kayak Nile’s huge Grade 5 rapids with a double-sitter kayak. 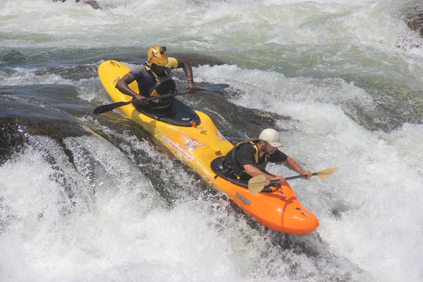 You sit in front with your guide in the backseat to instruct and steer the kayak safely down the rapids. There is the high possibility of the upside down, and should it happen, do not panic, hold your breath and our experienced guide will turn the kayak up again. 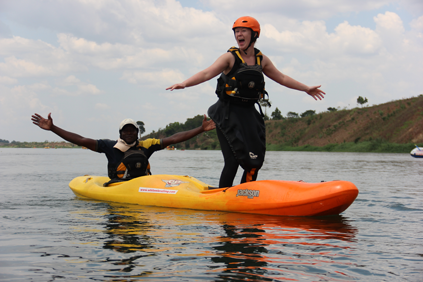 Duration: 25 km, 4 - 5 hours on the river. 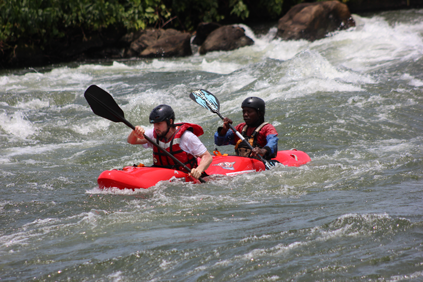 Copyright © 2019 White Nile Rafting - Rafting in Uganda. All Rights Reserved.